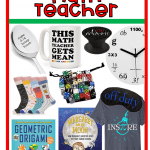 As we all know the right math teacher can make a world of a difference in your child’s life and taking time to appreciate them with a fun math teacher gift is great way to show them how much you care. Many of us have that “one special teacher” who makes a difference in our education so why not take an extra step and show that appreciation with a quirky gift just for them! 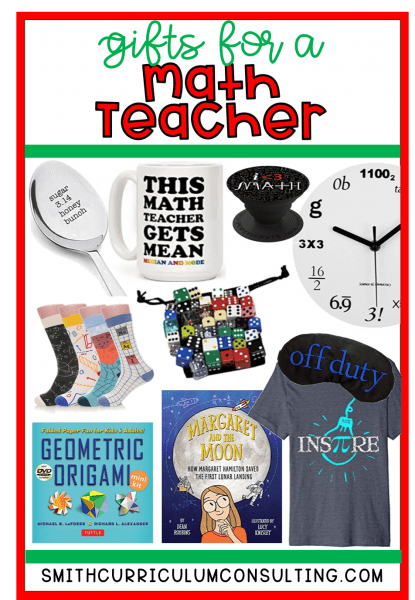 So whether you are looking for something funny, practical or even meaningful, this list of 10 Nerdy and Quirky Math Teacher Gifts has something just for you! Disclosure: Links provided within this post are affiliate links. While I do earn a small commission based on the sales of the items they do NOT cost you anymore. In fact, you may receive a cheaper rate because it is an affiliate item. These socks are so super cute and will not only add a bit of whimsy to your wardrobe but they can also spark a conversation as well! HA HA HA! Everyone loves a good pun and this one has it just right! 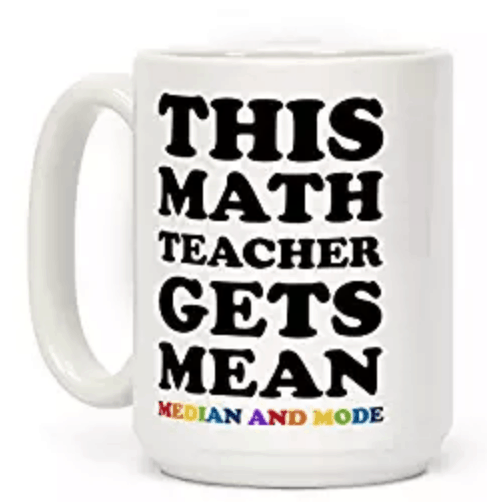 Your favorite math teacher can show off their math pride with this witty mug and show how cool Math Teachers really are! 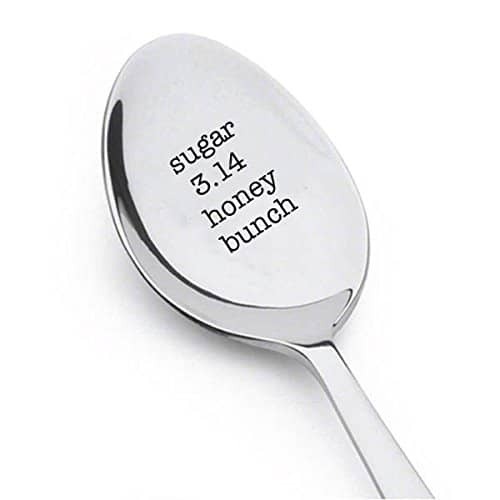 Super practical and cute engraved spoon for the coffee drinking math lover! Perfect to stir their sugar or honey in their morning cup of joe! As a teacher I love learning about others who have impacted the way we learn things today. 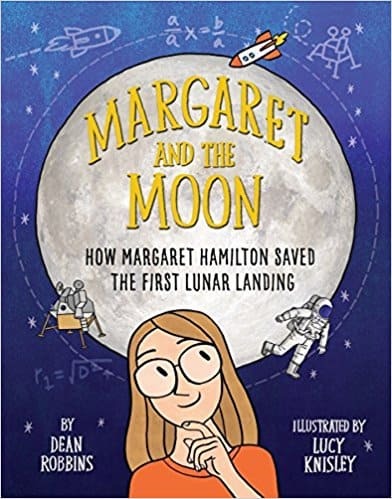 Margaret and the Moon is about how Margaret Hamilton used her love of numbers and built her knowledge as she learned to code which helped her land the first man on the moon! Talk about Girl Power! Puns run wild in a math teacher’s classroom especially when it comes to pi. 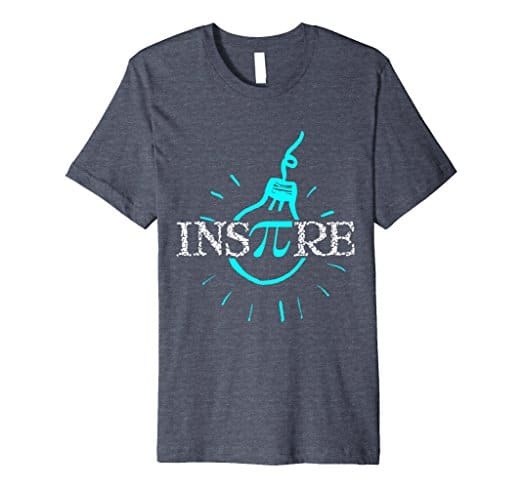 This inspirational (ha,ha) shirt will fit the bill of any teacher who is a math nerd and definitely be something to added to their regular wardrobe for jeans days! 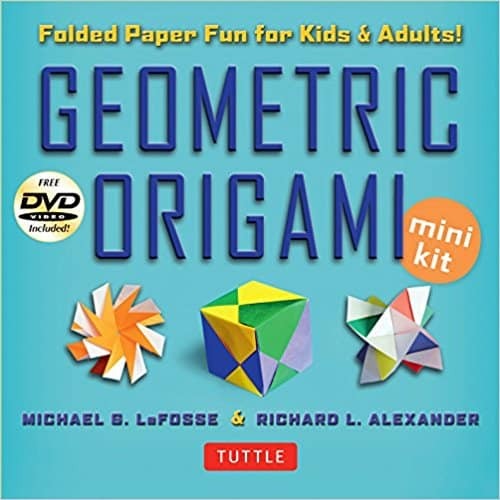 Do you remember folding origami as a child or maybe even folding up notes that you would pass in class? I remember learning some of the basic folds and loved seeing what you could make out of them. So therapeutic and relaxing so this would be great for a teacher in need of some creative down time! 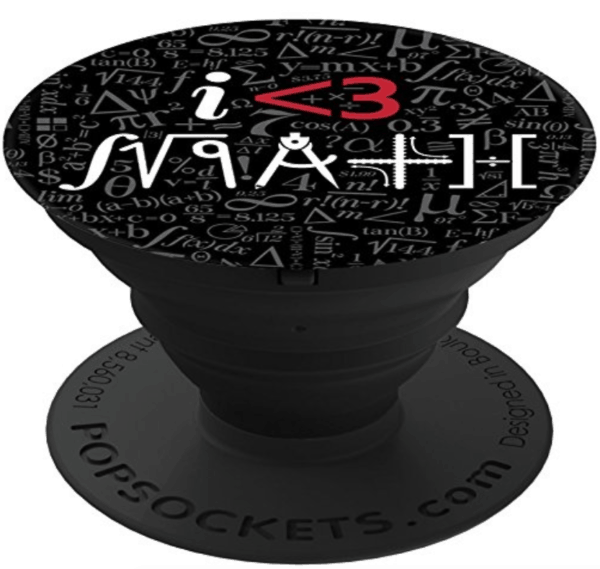 Since I started using a Pop Socket on my phone it has CHANGED my life! Seriously! It simply sticks on the back of your cell phone and it can be used as a pop-up stand or a secure grip when you are using your phone. I will tell you it has saved me from dropping my phone more times than I can count so if your Math Teacher is one that likes to use their device in math class, this is a definite purchase! As a teacher we are always looking at the clock to make sure that we have time to get our full lesson in during the time that we are allowed for each class period. 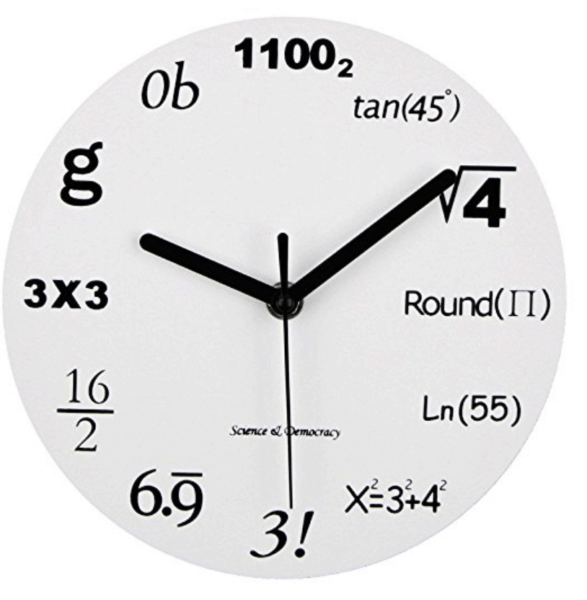 This clock makes reading a clock for a math teacher (and their students) just a little more fun! Each of the hours have different mathematical expressions to make you do a little more thinking! 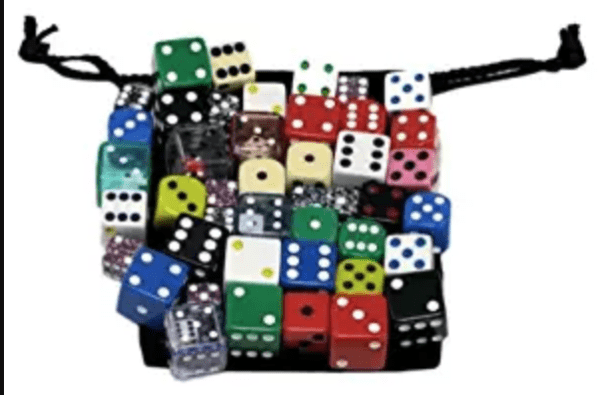 Who doesn’t LOVE dice? As a math teacher if I could find a way to incorporate dice in any activity we did I knew that my students would be engaged and working hard. 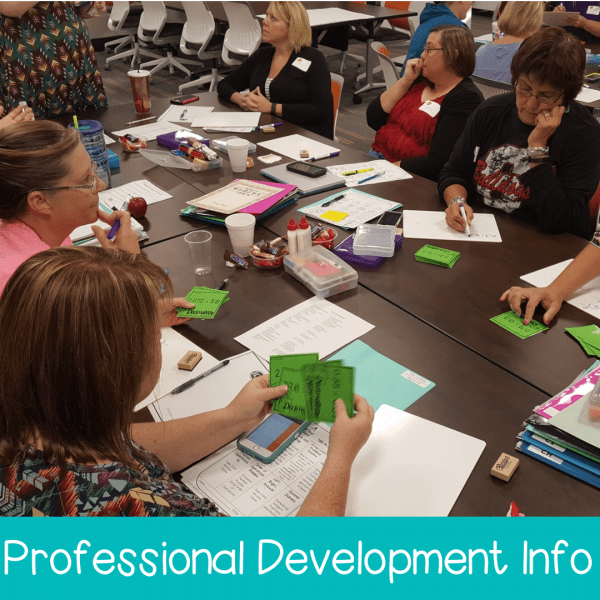 Just being able to leave what you are doing up to chance on how the dice rolls makes learning a little more fun! 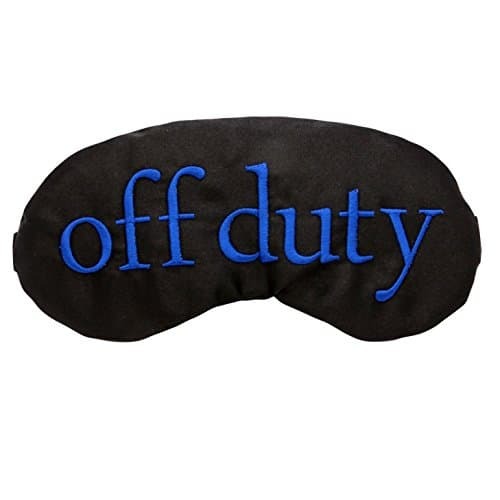 Every teacher needs to relax and take some time “off duty” and I know that I personally sleep so much better when wearing an eye mask so this would be perfect after a long day of mathematical formulas running through my head! 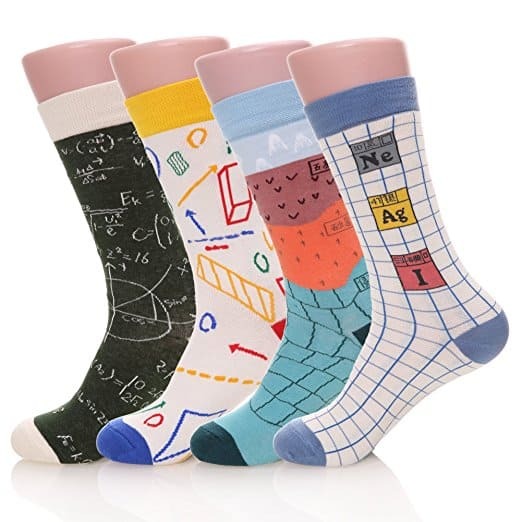 Looking for some more NERDY and QUIRKY Math Teacher Gifts? 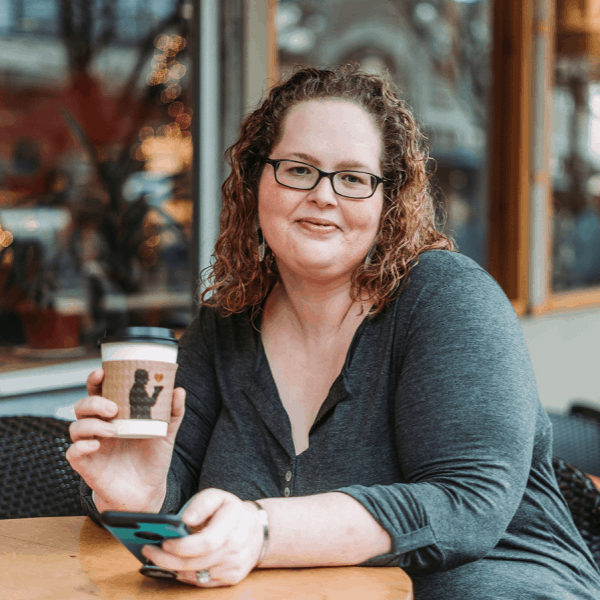 Check out my Amazon Influencer List that is FULL of some super fun products for math teachers, and teachers, alike! I have the same print of a headband from Princess Awesome as well! Love it!